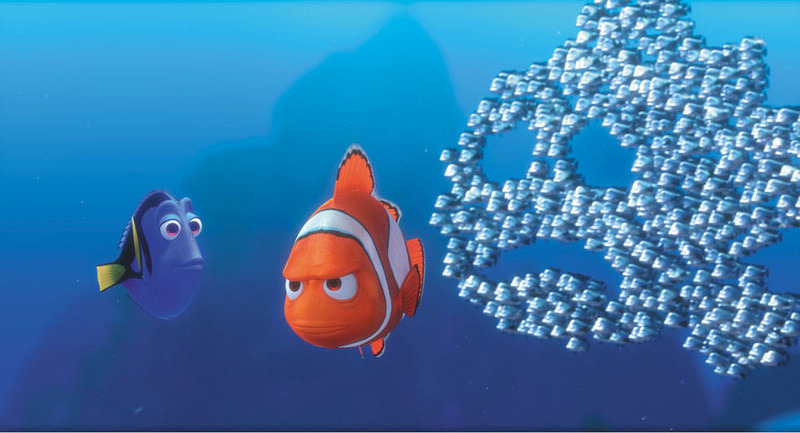 Nemo was a special snowflake. Unique just like all the clownfish that had come before him. That is the way evolution works – flawed replication fidelity. Does that make him important? Well, yes to his dad at least. But that is different from the sense of entitlement that comes with being told as a peanut that he was destined to change the world. Not every clown fish can make a dent in the universe. So how did he do it? Consider again the school of fish. By definition not everyone can be the leader of the pack. If you are a fish that is travelling in the middle of the school it is nigh on impossible for you to go in any direction other than the same one as those around you. If you try to deviate, you’ll bump into your neighbour and they are in the same boat as you. You may as well be travelling in a bus that someone else is driving. To lead the direction of the school, you really need to be on the edge where you are responding to the environment external to your school. And to be a little clearer, its better to be towards the leading edge of the school. To swim at the leading edge is to be exposed. 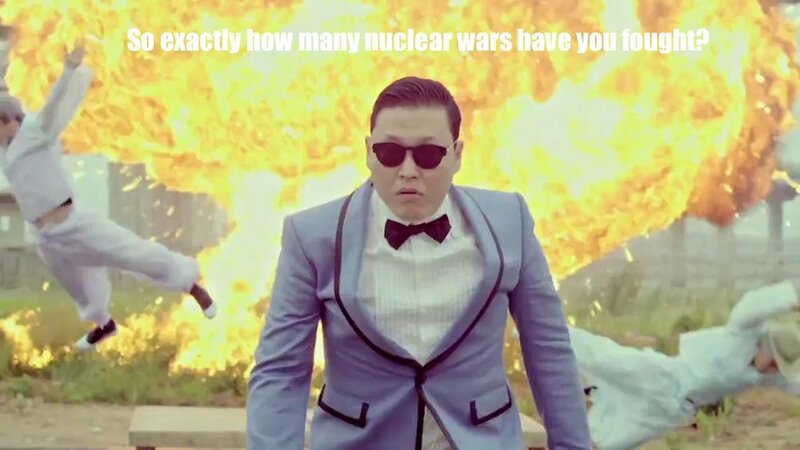 The risks to your wellbeing are heightened. The protection of the herd is a function of you being the first to fall – like a centurion in the front line of the phalanx, your role is blunt an attack and give those on the inside time to respond. Whether you survive is as much down to luck as it is to good management by you. And what does management mean in this context? Your options are limited. You make a difference at the edge – literally. You are subject to the same inertia as those in the middle. The difference is that you can try to change direction. Say you are the first to spot a very large set of teeth bearing down on the school. You try to change direction and bump into your neighbor. In a fright, they see what you see and turn the same way you are trying to go. They bump into their neighbor and so on. You can see where the idea of a tipping point comes from in network effects. A small and determined group of fish can turn the direction of the herd. They must for the survival tactic of herding to work. Find the front, that is where current trends are taking everyone. From there you can make your move. The alternative is to swim off by yourself and live in a cave. Nothing wrong with that. Plenty of fish have done it and lived out their days in existential bliss. Just don’t expect to impact the herd from the safety of your cave. They are off in the depths doing their own thing. Ever been culpable of rolling an idea up a hill beyond its use-by date? Even with the benefit of hindsight, it can be kinda difficult to spot the optimal moment when it would have been wise to let go. 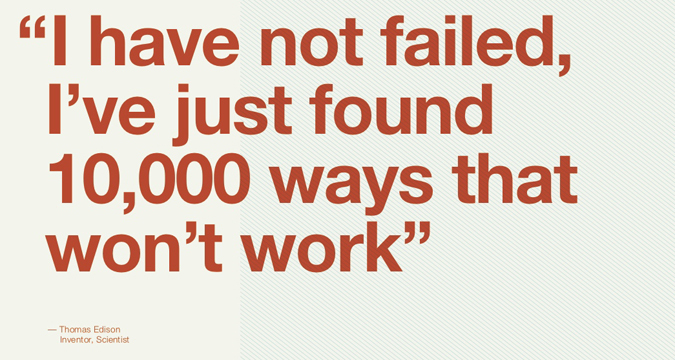 Which is why this ‘fail fast’ fad has me flummoxed. I’d hoped that I could apply it to experience and not repeat the mistakes of the past, but I’ve been struggling to understand what it actually means. See, I first took it that decisions to abandon a project can be accelerated. The lean model talks about testing your hypotheses and quitting as soon as they fail. So failing fast becomes about setting specific and measurable benchmarks that trigger the escape hatch if they are not met. A problem with this is that benchmarks may not be simple to define and can be harder to measure – particularly where the concepts are emergent. For example, how do you define a benchmark to filter out the positive responses in market testing that, combined with a little confirmation bias and a dash of inertia, provide more than enough motivation to keep going. Another assumption is that you can save money, time and effort by stopping out of failures early. But as any trader will tell you, a stop-loss can quickly become a target that simply gets triggered before the bigger trend resumes. The last thing you need if you are committed to a project is to exit just before the opportunity can be made real. Perhaps the point then is that it is more important to get the big picture right – the big trend that will ultimately underpin the market dynamics that can support success. It’s like the difference between losing a battle and a war. The genius of Winston Churchill was his ability to filter the chaos through the big picture, so that decisions were optimised for the very uncertain circumstances. “There must be that all-embracing view which presents the beginning and the end, the whole and each part, as one instantaneous impression retentively and untiringly held in the mind.” He had a framework within which to respond to challenges and take advantage of opportunities as they arose. Individual failures are simply events that help to shape the direction taken to achieve the ultimate objective. David Einhorn likens the challenge to playing poker – where there are things that you know with certainty (your cards, everyone’s wagers), things you can surmise (that fellow’s playing style) and things that you don’t know except at the limits (the number of cards still to be played). There’s a spectrum of uncertainty along which calls are made. The challenge is to identify the key calls, those decisions that will make the biggest difference to the outcome – and tilt the odds in your favour. Again, it’s his ability to assess the context and then the circumstances within that determine the appropriate choices. Failing fast may mean folding early on a hand, but in doing so you’re more likely to have the resources to bet big when the opportunity arises. So perhaps failing fast is a really a short-term concept within a long term context. And just as “a plan doesn’t survive first contact”, it’s understanding the potential points of failure and being aware of the contingent paths that will optimise chances of success. If failing fast is a skill, it is referring to the ability to dynamically choose the path not the destination. The objective remains to scale the hill, just that it may require pivoting along a few paths to get there. Even Sysiphus can have his good days when it’s as much about the journey as the destination.